The following is a list of past Industry Conferences. 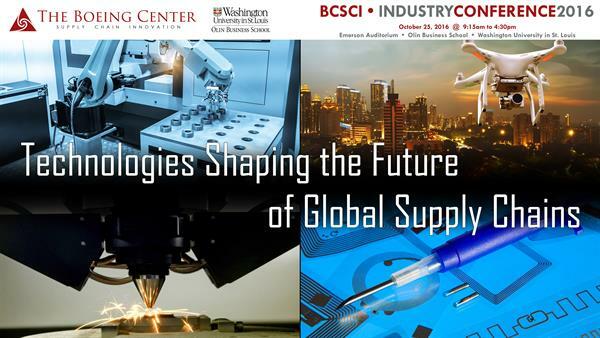 For more information on the upcoming annual conference, please visit The Boeing Center's website. “IT & Global SC Strategy: A Japanese manufacturing perspective"
“Supply Chain Management in an Evolving World: Distruptive Technologies, New Business Models, and Operation Impact"
“Deploying Operational Excellence Through Organized Movement"
“Breakthrough Business Models and Supply Chains: Risk Perspective"
"Managing Risk Within A Supply Chain"
"Business Case: ILWU Contract Renewal. Preparting for a West Coast port shutdown." "Creating a Digital Supply Chain: Monsanto's Journey"
“Disruptive Technologies In The Next Generation of Aircraft"
"Craft Beer Delivery from a Macro Beer Supply Chain"
"Operational Innovations for Competitive Success"
2011 Third Annual BCTIM Industry Conference: "Active Demand Management in Agile Supply Chains"
2010 Second Annual BCTIM Industry Conference: "Managing Complexity Supply Chains: The New Imperative"
2009 The Inaugural BCTIM Industry Conference: "Supply Chain Challenges & Strategies in the Midst of Economic Turbulence"